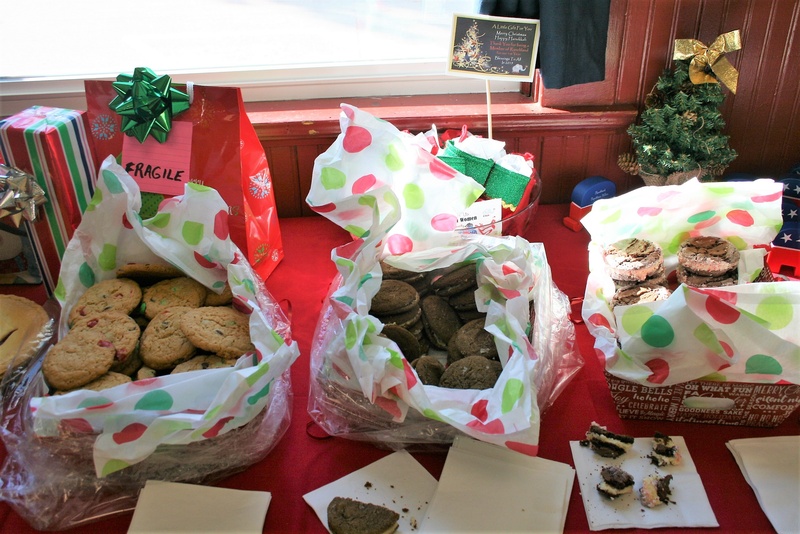 Here are some photos (sort of our on line scrapbook) of our Members, our Meetings, our Events, and even of us Out & About, Volunteering, and just HAVING FUN! 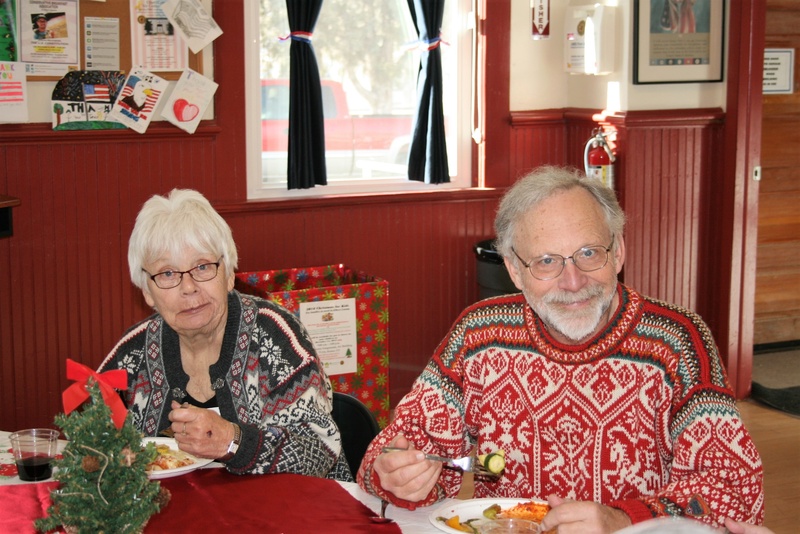 November / December 2018 - We opted for a December 1st Party to celebrate Christmas and the Holidays! 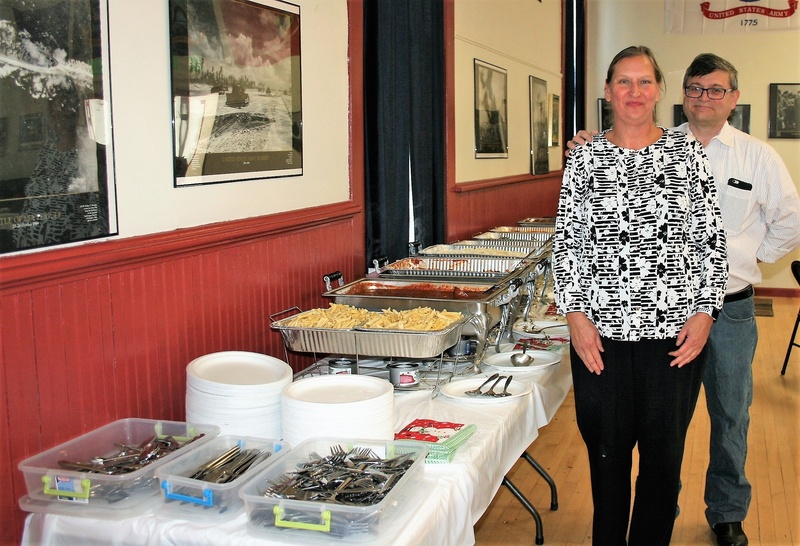 Kathi Bartick was our amazing chef creating three delicious pasta options for the taste buds of members and some non-members as well. It was a perfect wrap up to also celebrate our 1st year! 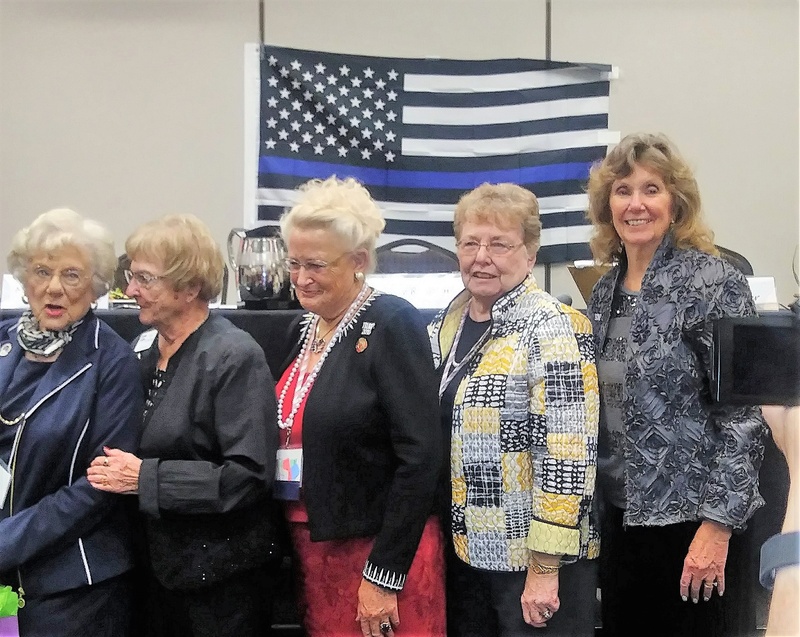 October 2018 - Ranchland coordinated and hosted a CFRW Multi District Meeting for Greeley RW, Longmont RW, Morgan County RW, RW of Weld, Collegiate Peaks RW, Colorado Springs RW, El Paso RW, Park County RW, Royal Gorge RW, Sunrise RW and of course Ranchland RW. There were about 75 in attendance and much sharing between the clubs. 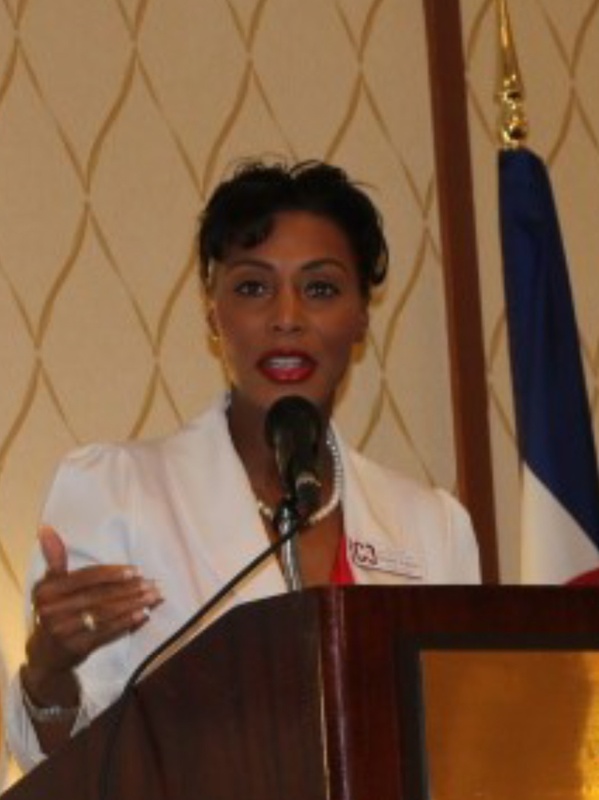 In conjunction with the MDM we hosted a Colorado Candidate Showcase to help promote our Republican Candidates. 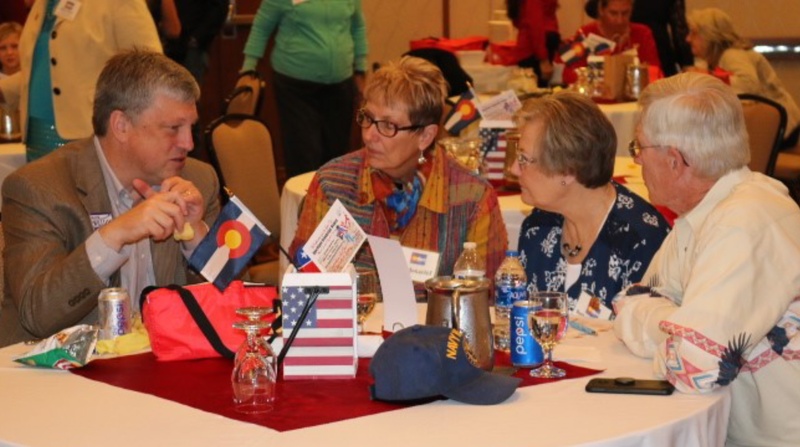 Photo Above Right: Wayne Williams, Colorado Secretary of State and Candidate for the same chats with RRW Members Barbara & Bill Murray and another attendee. Photo Below Youth: Taylor Kenney was our special singer for the day. A future Republican Woman for sure! 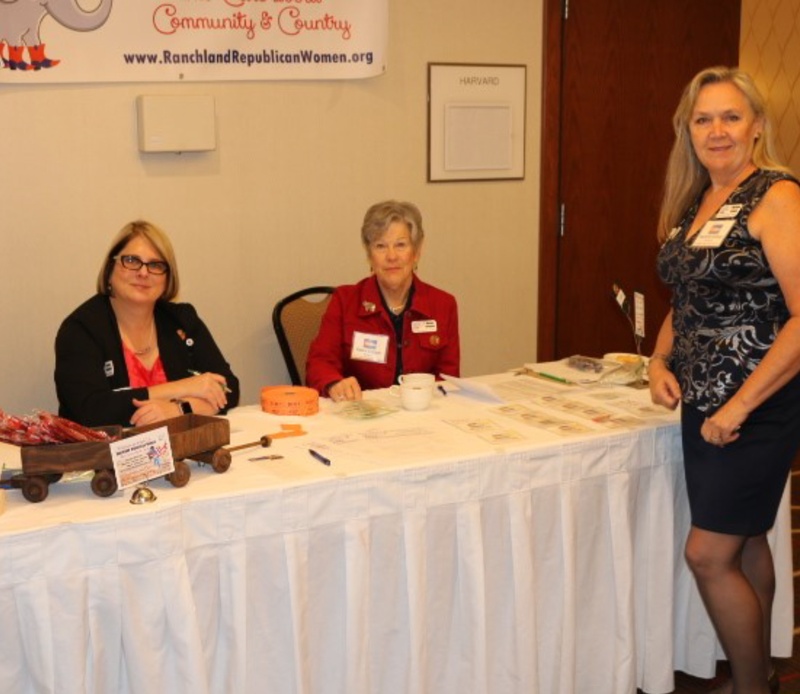 September 2018 - This was a triple dipper kind of month, with some of our RRW Board Members attending a (1) Walker Stapleton for Governor event, then our (2) RRW Monthly Meeting, and then the (3) CFRW 80th Anniversary Celebration & Convention! In a word - BUSY! 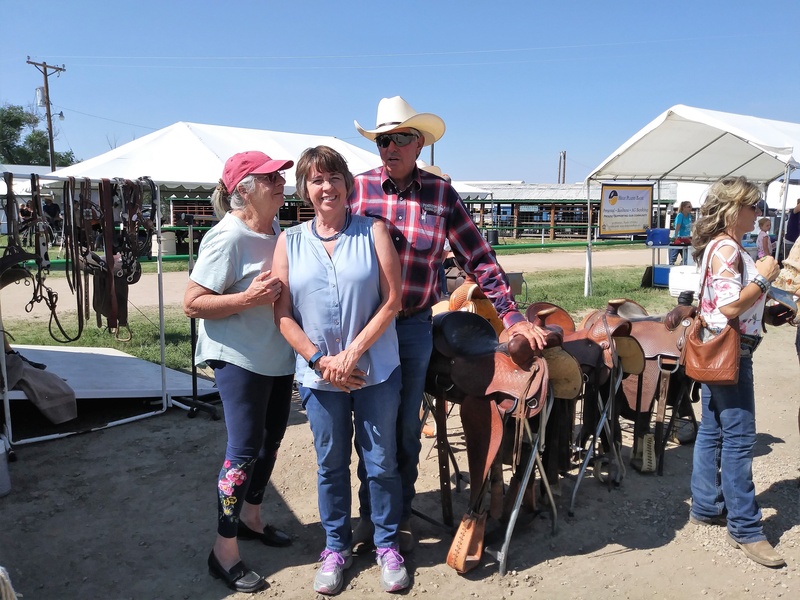 Walker Stapleton Event Photos: Left Karen Shipper & Jackie Tugwell, Center Walker Stalpeton, Right Walker Stalpeton, Marlene Groves, Jackie Tugwell & Lang Sias. 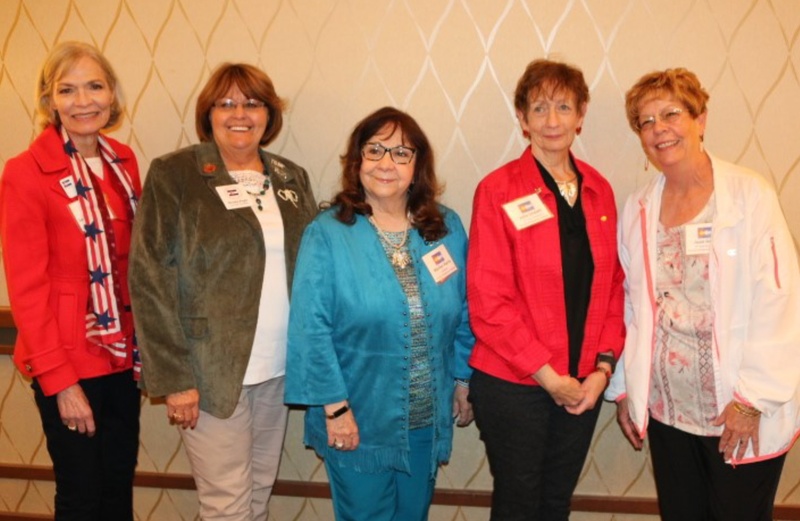 Right CFRW Past Presidents Marlyn Scheffel, Jan Cummings, Jacque Stafford, Sharon Sollenberger and Marti Nelson. 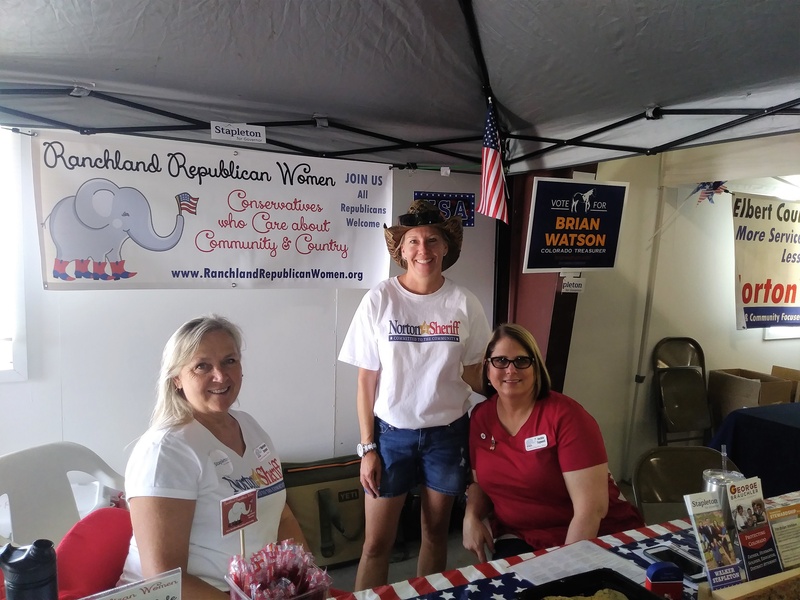 August 2018 - It was all about working at our local fairs to promote our Republican Candidates! We first did 5 days at the Elbert County Fair, then the following weekend 2 days at the Lincoln County Fair. 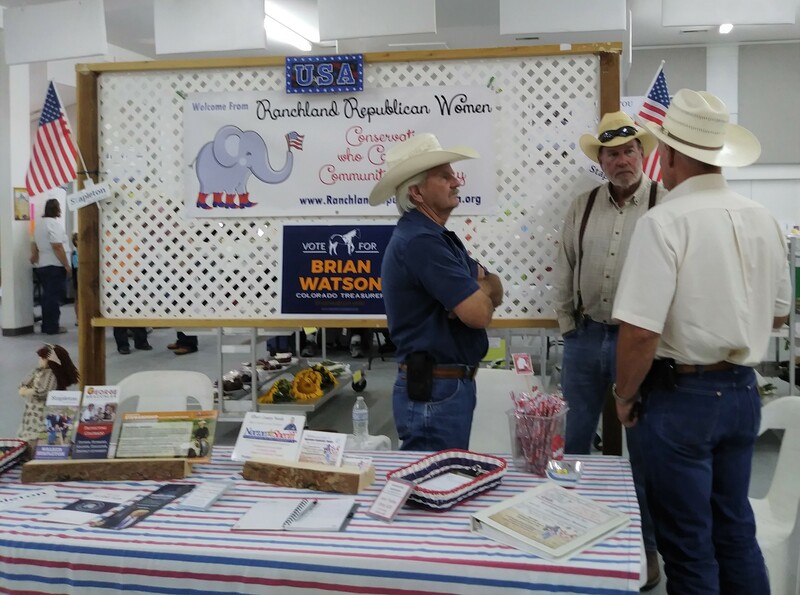 We enjoyed meeting and visiting with so many people, and we even recruited additional RRW Members to help the cause! July 2018 - We had Fire Marshall Kara Gerczynski (below left) speak to our members about Fire abatement & protection measures since we have had such a drought this year. 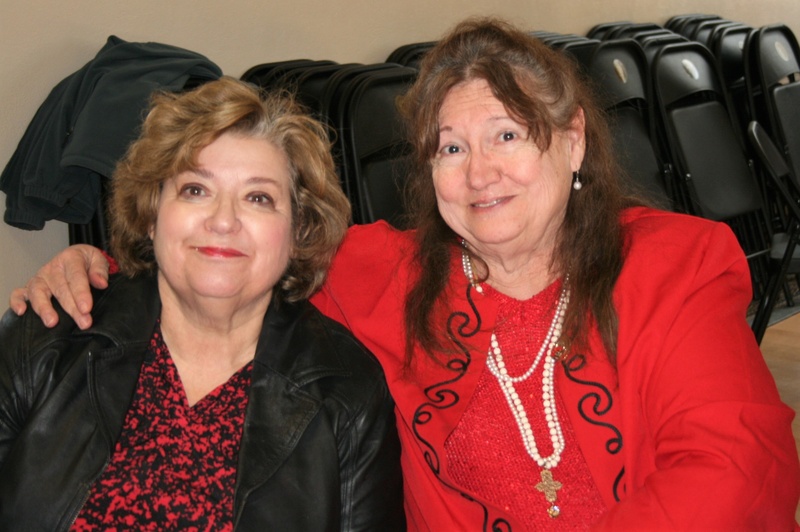 We also had a monthly door prize at our meeting, this month brought by Kathi Bartick, won by Donna Dreyer (below right) , and shared with Wendy Walp. 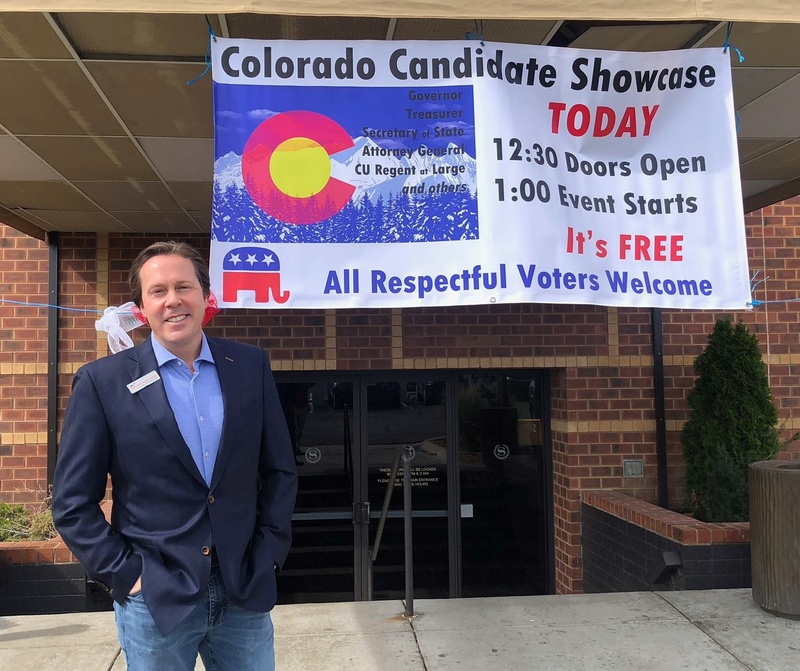 Walker Stapleton (Governor), Brian Watson (Treasurer), George Brauchler (Attorney General) and Wayne Williams (Secretary of State). June 2018 - Stampede Rodeo Parade through Elizabeth, followed by the Elizabash Street Fair!!! Fun times with members as we support our community!!! May 2018 - Just some RRW Meeting FUN!!! 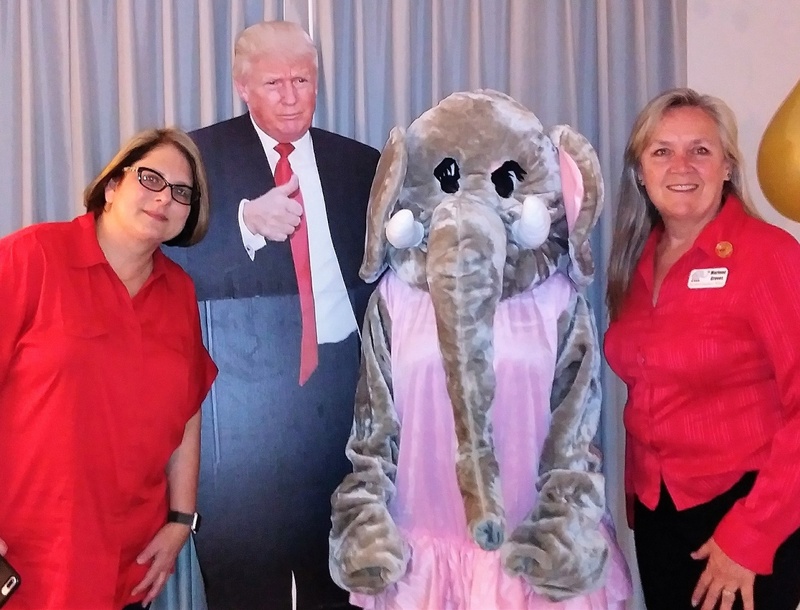 Yep, even our elephant Bootsie came out to meet some of our candidates! 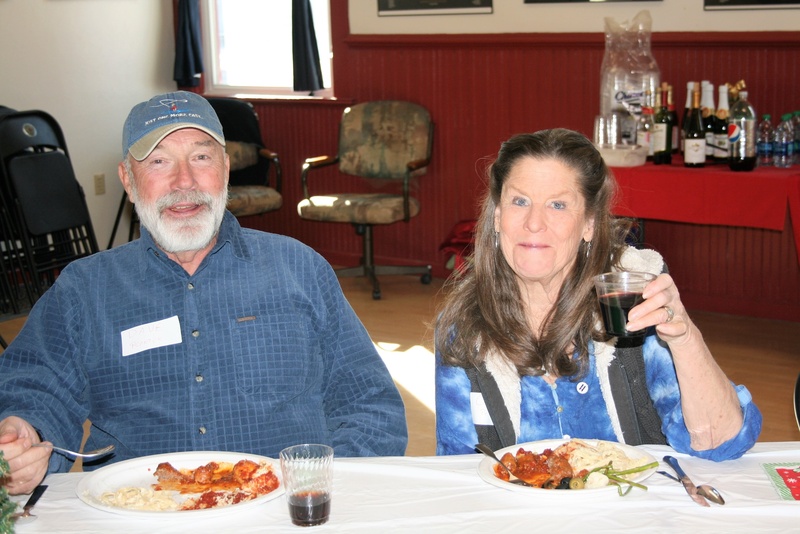 April 2018 - Colorado General Assembly, a Celebratory Dinner, and learning about Women's Eye Health was the focus! March 24, 2018 - Elbert County Assembly - RRW members participating as Delegates, Alternates & Candidates! March 19, 2018 - RRW Candidate Night - where all enjoyed a delicious meal and got to hear an outstanding candidate forum question & answer! 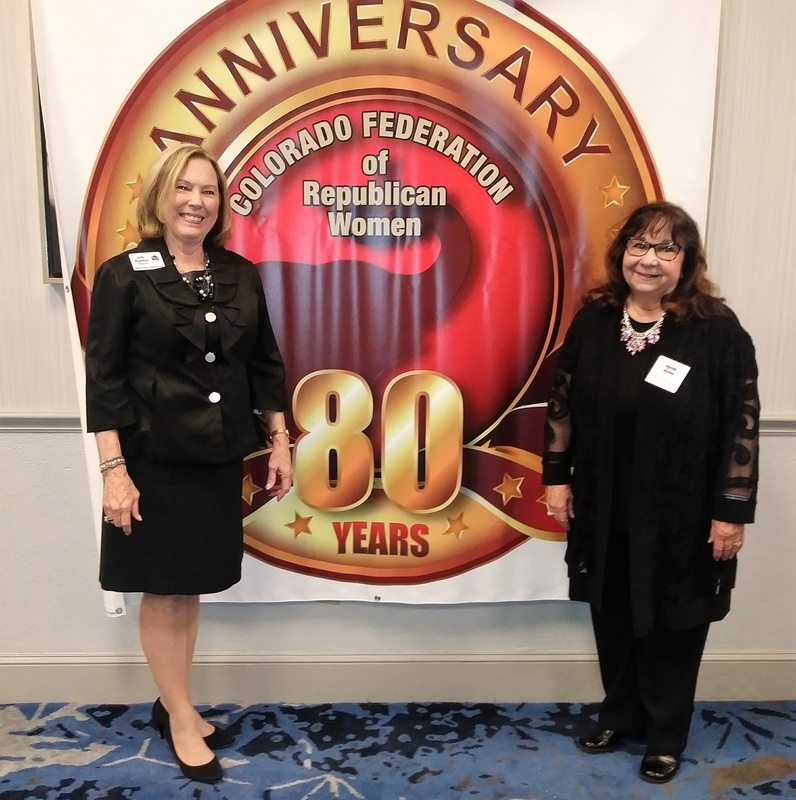 March 2018 - CFRW SPRING MEETING - What a positive group of Republicans, who welcomed Ranchland as Colorado's newest Republican Women's Group! 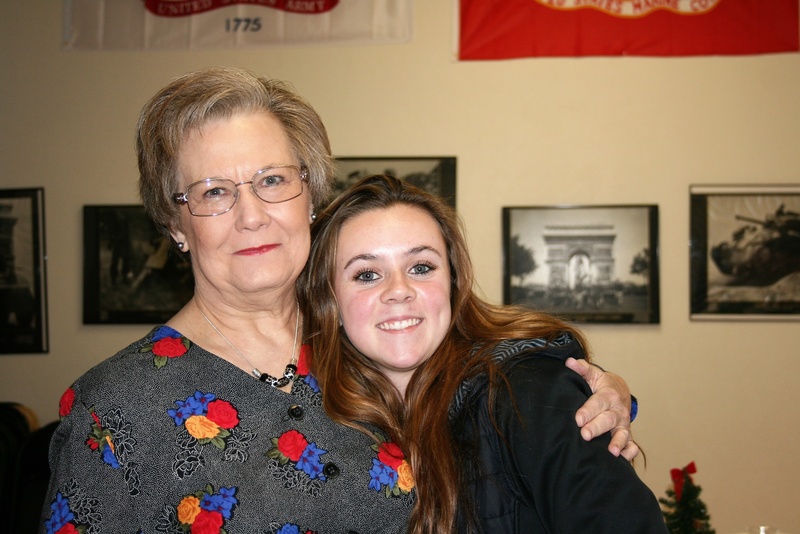 Rep. Judy Reyher, our District Dir. January & February 2018 - Some members spending time at our Capital and getting involved! January & February 2018 Photos: In January RRW coordinated our 1st Community Project a Canned Soup Drive where we earned over 1100 units for our local food banks! 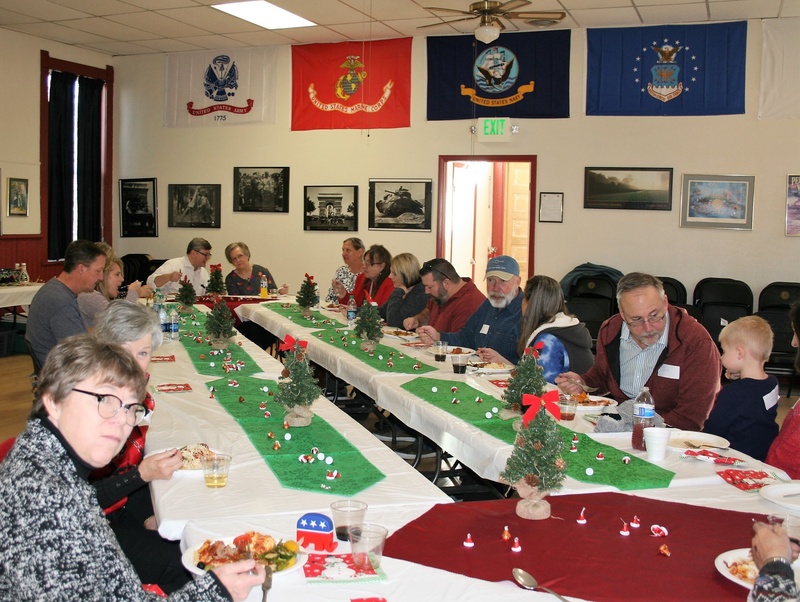 It was well supported by the entire community as well as by our RRW membership. 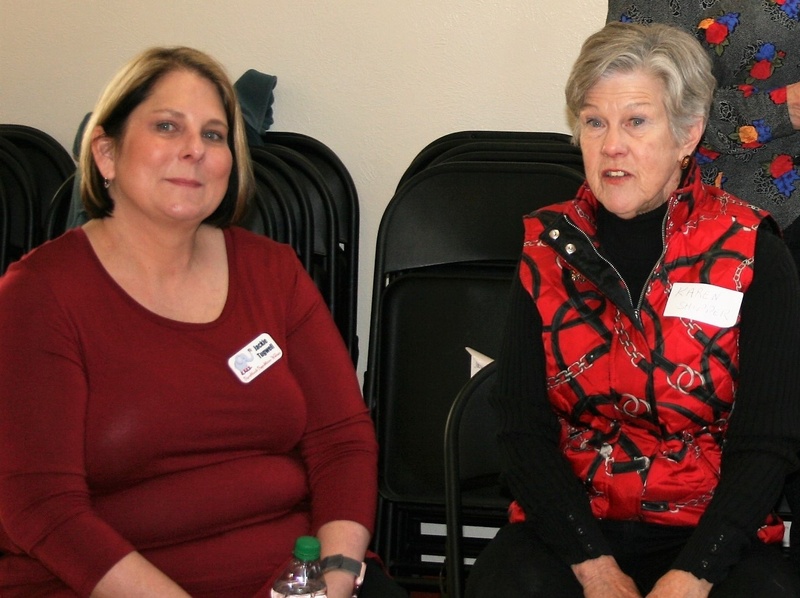 Also in January we brought in former Elbert County Commissioner Kelly Dore, who now focuses her efforts statewide and nationally to fight against Human Trafficking. 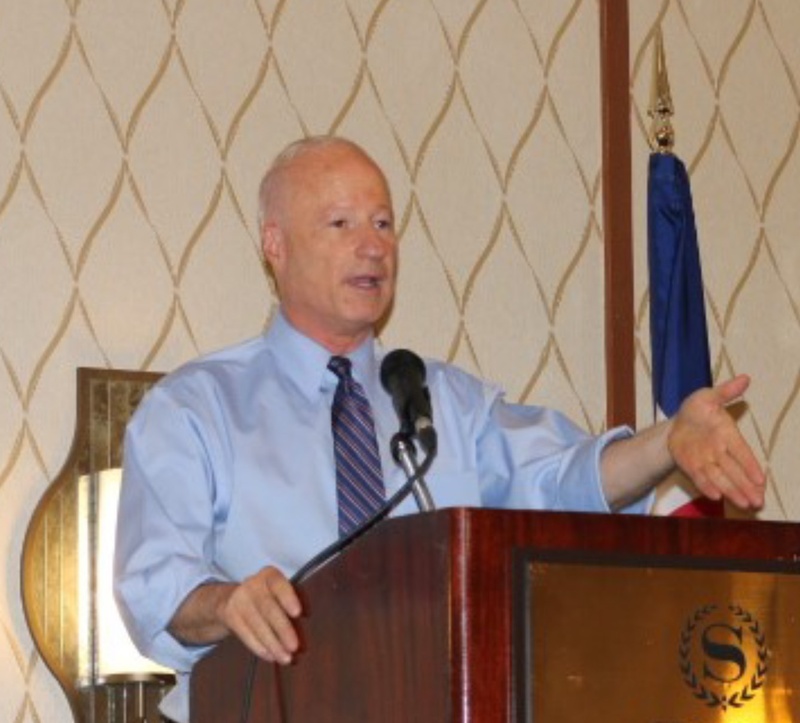 In February most of our RRW Officers caught up with Colorado GOP Chairman Jeff Hays, and we enjoyed hearing an update from Congressman Ken Buck at the Conservative Breakfast.